Finnish energy equipment manufacturer Wärtsilä will supply a 100MW combined heat and power (CHP) plant to Germany-based energy producer Kraftwerke Mainz-Wiesbaden. The Smart Power Generation power plant, consisting of ten Wärtsilä 34SG engines running on natural gas, is scheduled to be fully operational by the end of 2018. Wärtsilä's scope covers the engineering, procurement and construction (EPC), as well as a 15-year service agreement with performance guarantees. The order is included in the order book for the fourth quarter, 2016. "Unlike traditional CHP power plants based on coal fired units or gas turbines, the Wärtsilä gas engines can be started and stopped without limitations within just 2 minutes. This allows us to operate in the balancing markets, since we can adjust the power output quickly to respond to the fluctuations in power demand as signalled by the electricity price," said Lars Eigenmann, CEO at Kraftwerke Mainz-Wiesbaden AG. The UK energy minister says her department hopes to provide a clearer vision to its strategy for heat decarbonisation in 2017, as she announced changes to the main policy driving that agenda, the Renewable Heat Incentive. Baroness Lucy Neville-Rolfe, Minister of State for Energy and Intellectual Property acknowledged that the country had yet to fully agree on the optimal mix of technologies required to decarbonise the heat sector in the most cost effective manner. She was speaking at the Heat Summit event which also heard from the authors of recent reports by hosts Policy Exchange, Imperial College, and KPMG/ Energy Networks Association. The minister referred to the technologies currently available, without outright commitment to any one method. Read more on this at Decentralised Energy. ukDEA member Sweco has appointed two new members to its UK leadership team to head up its environment and energy business units as the company prepares for further growth. The Leeds-headquartered engineering, environment and design consultancy has appointed Jen Hamilton to lead its environment unit, whilst Andy King will take of the energy unit. Both are directors and have been with the consultancy for 10 and five years respectively. Sweco now has five distinct business units comprising buildings, environment, energy, transportation and water and asset management, and these latest appointments ensure each unit is represented at board level. The promotions also mark a period of successful integration since Sweco launched in the UK in April 2016, following its acquisition of Grontmij in October 2015. Among the work it has been involved in includes the delivery of a district heating network connecting 53 buildings within the University of Glasgow estate to a new energy centre. “Our integration continues to progress at an excellent rate and we are very well placed to become even more successful. “These additional leadership team appointments ensure our core businesses are aligned with market sectors in a way that creates many advantages for both our company and our clients. Importantly, the structure also enables pan-business representation on the leadership team giving further impetus to our collaborative multi-disciplinary approach. The consultancy employs 800 people in the UK and advises on major projects. Sweco has its headquarters in the Chapel Allerton area of Leeds and consults nationwide via its network of offices in Bristol, Cardiff, Edinburgh, Glasgow, London, Maidenhead, Manchester, Newcastle, Peterborough and Solihull. The company - whose founder members and shareholders comprise of The Royal Devon and Exeter NHS Foundation Trust (RD&E), the University of Exeter, Devon County Council, Exeter City Council and Teignbridge District Council - is the first specifically Exeter-based energy company in almost 70 years. Building on recent success of Cranbrook and Skypark's award winning district heating scheme, plans are already in place to undertake the first project associated with the new company in Exeter. A revolutionary new network will be financed and built, designed to transport heat generated at the RD&E's Wonford Hospital to consumers across the city. Feasibility studies for the project, which would increase energy efficiency and reduce costs, have identified that the scheme is achievable. 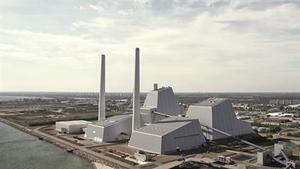 ​Avedøre Power Station can now use sustainable wood pellets as fuel instead of coal.